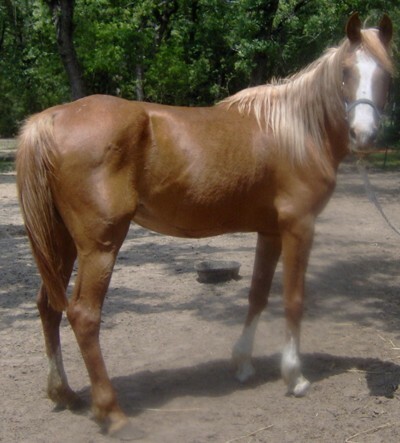 This page is dedicated to the many horses I have rescued over the last few years. Sadly, many times I come across horses that are not being cared for properly. Occasionally I get calls from owners who can no longer afford them and wish to find them good homes. 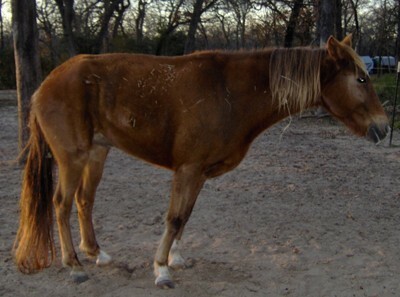 Most often though it is these horses that need vet care the most. At several points through the year since I opened my pasture to rescues, I have been brought to tears at the condition these horses are allowed to get to. All to often I am reminded that humans can fall short of our job as guardian to our animals. The following pictures are of before and after as well as progressing horses at our house. Please understand I am showing these as a way to bring awareness to such a large problem. So large in fact that nearly every equine rescue is FULL with no room for any other horses. It was that staggering statistic that made me open my pasture and stalls to unwanted and uncared for horses. I do this out of my own pocket with no sponsorship what so ever. Occasionally I will receive donations from kind hearted people who respect the effort my wife and I put in. To date I have successfully placed every rescue in new wonderful homes since each one is like a member of our family. We get pictures and updates on each of them weekly seeing their new lives. Seeing these wonderful animals find new hope in our care and forever loving homes with the new families is amazing. 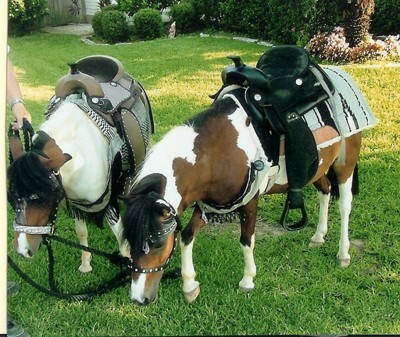 It was the equine rescues that spawned our horsemanship camps for children. The mission behind these camps is to educate tomorrow's adults to care for these animals as they should be and not seen as property. I will close with this, I thank every person out there who cares for their horses properly. You are true horsemen & women. 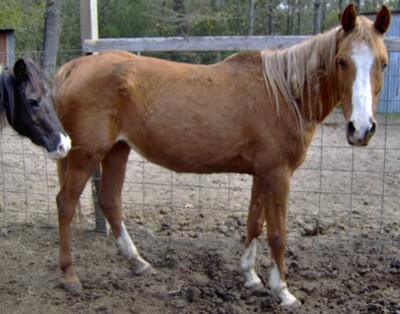 *Update 2012 Please check out Therapeutic Thoroughbreds to read about our upcoming rescue and therapeutic riding center. All rescue donations will go to Therapeutic Thoroughbreds from this page. Thank you for your support! Like us on Facebook. 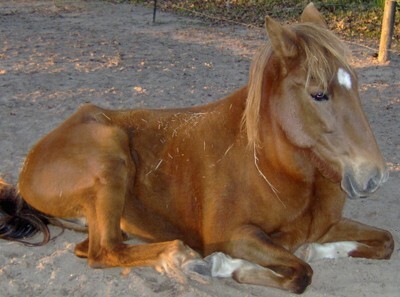 This is Angie, a 13 year old Peruvian Paso mare. She has a laundry list of health issues on top of the obvious emaciation. She is a sweet, yet very frightened girl. *UPDATE* Angie was diagnosed with DSLD. You can read more about the disease online. Unfortunately, Angie was in the advanced euthanasia stage of the disease thanks to a misdiagnosis 1 year ago. So our hands have been forced and at this point the only thing that can be done is the inevitable. Before your horse or any animal suffers needlessly, when in doubt, always get a 2nd opinion. Angie has been put down and is in a better place now. Meet Cowboy. This big lovable guy was rescued from very negligent owners. He was 700 pounds at 15.3 hands, which is right at 500 pounds less then he should have been. It has been a slow rehabilitation process, but he is coming along great he is now at 1,075 pounds and gaining. 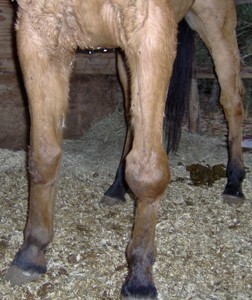 He was in desperate need for hoof care he had not been trimmed in at least 8 months. He required several corrective trims but his hooves are finally back to proper shape and condition. We have absolutely fallen in love with cowboy he has his forever home right here with us. Cowboy jumping with his new boy!!!! What an amazing transformation. We will love you always Cowboy! Meet Buckaroo. This poor guy was owned by the same people who had cowboy. Sad part is he was not as lucky as cowboy. While both where underweight, they where still riding them. 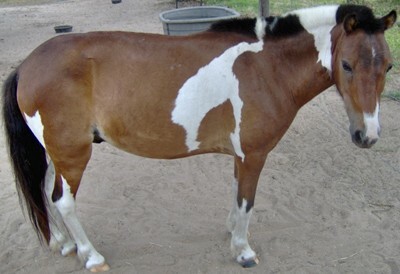 This one fact caused a stress fracture of the radial bone on Buckaroo, which left him lame. He had the sweetest disposition you could imagine. How on earth anyone can torture these animals like they do is sad. The great out come is buckaroo now lives out his life as a pasture buddy with a small girl who grooms and loves him daily. Her only question when picking him up was, I know I can't ride him, but I can love on him, right? Now that makes ya feel warm to see the pure thoughts of a child. This is Stripe. This poor guy was in HORRIBLE shape when I picked him up. I literally had to pick him up and put him in the trailer. He was so badly starved he could not even lift his legs to walk in the trailer. He had lice so bad we had to shave his mane to the neck just to get rid of the lice. After a couple months and lots of T.L.C. he made a full recovery and found a wonderful new home. He has a wonderful family any horse would be lucky to have. He is now a full fledged superstar where he does pony parties for Houston Pony Parties and gets more then his fair share of love. Meet Sultress. 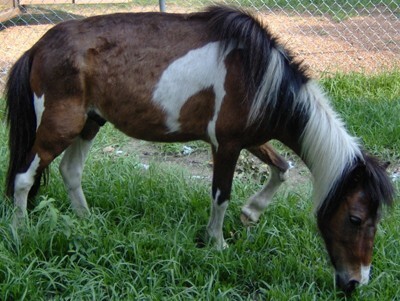 She is a pure bred Egyptian Arabian, who sadly had a hard life. She had been badly abused prior to her coming here, which made our jobs hard. We had to reassure her people did not mean pain. She was also under weight due to needing her teeth floated and being extremely wormy. Her teeth had been neglected for years, yet her owner could not figure out why she would not take a bit. She was successfully rehabilitated and lives a life in pure luxury. Her new home treats her like a queen. 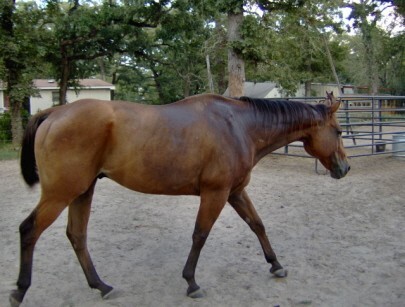 Up date on AGGIE (Mr.Agenda) sadly we lost our battle with getting him back to health. He passed away yesterday September 21st 2007 at 4:00 pm central time. We gave it all we had and so did he nothing can be said about him other then he was an amazing young guy. He had more fight and try in him then any I have seen before. He genuinely was a pleasure to be around an huge love bug. He will be missed here deeply and never forgotten he was not just a horse but a great friend. He became part of the family here at 4M. I will not let his life be in vain I will make it my goal that more people are educated on proper hoof care and how it effects the over well being. I want to sincerely thank all of you who have expressed well wishes for AGGIE and those who donated money for his care. My only regret is that his previous owner can never know the pain he felt. If people like him could see these guys are living creatures not property less horses would suffer. GOD BLESS YOU AGGIE YOU WILL BE MISSED ALWAYS !!!!! 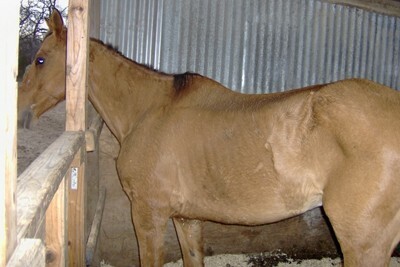 Meet AGGIE this poor guy is a retired race horse at age 4 he is currently recovering from grade 2 lamenitus. He is an example of what happens with out proper care he was just 7 months ago a money winner. He is now doing good to walk on some days some day he just stands perfectly still. He is on stall rest with daily dose of bute both of which get really expensive. 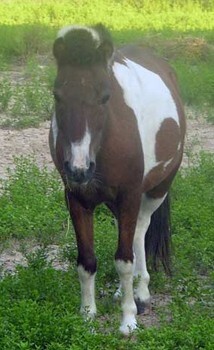 He requires daily care soaking his hooves in epsom salt and will require extensive farrier work with corrective shoeing. His care alone cost me more then you can imagine. His owner said and I am quoting Spending the money is just a bad investment for me so I wont do it. Which is how Aggie came to me. Prior to that he was a horse I trained fresh off the track to be a pleasure horse and in just 3 short months his owner let him get to this. All could have been avoided with a simple call to a farrier and a vet. Total cost 200 dollars now his monthly care exceeds that with ease. We are always accepting donations to help with the cost of caring for the needs of rescues in our care. I deeply appreciate any donations and assure they go directly to the needs of these animals. Paying for vet care and feed and daily care needs. Thank you for your generosity. We are not a non profit animal rescue this is done out of our pockets. With that said donations are not tax deductible but we can offer you updated pictures and many thanks. 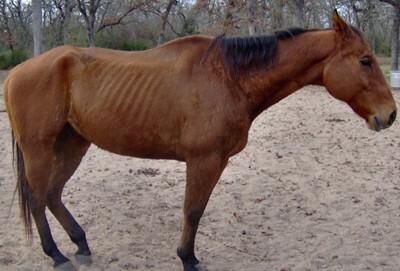 I promise you each donation will help rescue a horse and care for their needs. 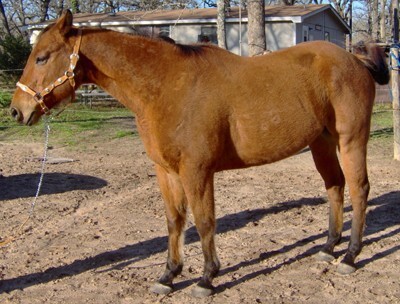 We utilize the funds to also purchase horses at auctions that are under weight and neglected. We do this in effort to get them in safe loving homes. Too often I see horses that are foundered or lame that could have been avoided with just a little effort. So we do every bit of effort we can. I feel it is our responsibility to do all we can for these wonderful creatures. After all they have done for us through the centuries. Not one corner of history was not shaped with out the labor and effort of horses. In short the world as we know it was made on horse power. So shouldn`t we give as much to them as they have given to us? 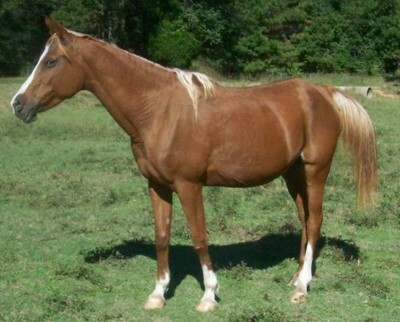 We gladly also accept donations in the form of anything we can use for the horses. We have a laundry list of things we need done around here so if someone just wanted to donate materials or labor that would be awesome. We have many many things in the works and not enough materials or helping hands to do it all. Here is a list of things we always need around here. If it's not listed here and you might think we need it just ask. If you have any of these extra materials or have the ability to buy them we would love to have it. We will put it to great use.